"Discover How To Get a Flood of New Prospects and Clients, Establish You and Your Company as a Market Leader and Subject Matter Expert... Learn How To Strategically Grow Your Business with Social Media Marketing"
Each Social Media Magic University Session is delivered to you in 12 educational packed sessions over 5 weeks. Each session will be taught live online by our panel of experts, followed by an interactive Q & A session. You can attend any of the sessions or 'all', it's completely up to you and your schedule. They will all be recorded for you in case you happen to miss a session or just want to listen at your own pace. We have an incredible lineup of speakers: Dave Barnhart, Jason Alba, Lou Bortone, Jennifer Shaheen... and more being added! You'll also get free access to our private students only area. You'll have access to all the recorded sessions and transcripts plus other free downloads. With millions on websites like LinkedIn, Facebook, Twitter, and YouTube social media sites are your greatest strategic asset to attract new customers and build brand awareness. In fact, there’s really no better way to get favorable ROI with your social media efforts than with a comprehensive presence and ongoing campaigns across multiple channels. It's no secret that Social Media is exploding. According to Nielsen Online, Social Networks & Blogs have surpassed even email in global popularity, and are growing at a rate of more than three times as fast as overall internet growth. Millions of people use social sites every day. 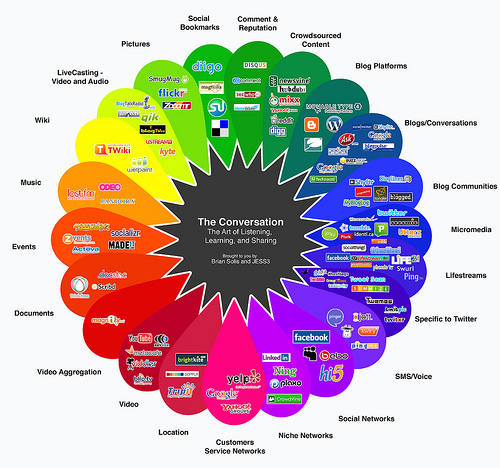 That's millions of conversations taking place online each day. That’s where your potential customers are. That’s where your competitors are. Shouldn’t you be there too? Discover how to capture the conversations most valuable to you and your company during our upcoming Social Media Magic University session. Enroll Today. With Social Media Magic University, you'll discover how forward-thinking, savvy CEOs and business executives and leaders can turn social media sites like Facebook, LinkedIn and Twitter into a marketing gold mine, and how you can too. Facebook adds 600,000 new users every day. Over 39 million business professionals with members in more than 200 countries use LinkedIn to connect to colleagues, clients and potential customers. How many could be your prospects or customers? Enroll Today and discover how you and your company can reach out and tap into this rapidly growing audience of more than 300 million potential customers. for Social Media Magic University! Lou is a writer, producer and online branding consultant who teaches entrepreneurs how to build breakthrough brands on the Internet, with services such as copywriting, online video, marketing, coaching and creative support. If you want no-nonsense facts on how Social Media Marketing can generate revenue for your business, increase traffic to your site, build new business partnerships, and bring in new qualified leads, plus learn how to effectively implement Social Media into your business and marketing plan... you don't want to miss Social Media Magic University. 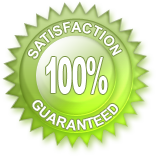 Social Media Magic University Training is backed by our iron-clad 100% satisfaction guarantee. "Capitalizing on the Conversation "
Copyright ® 2011 Social Media Magic.